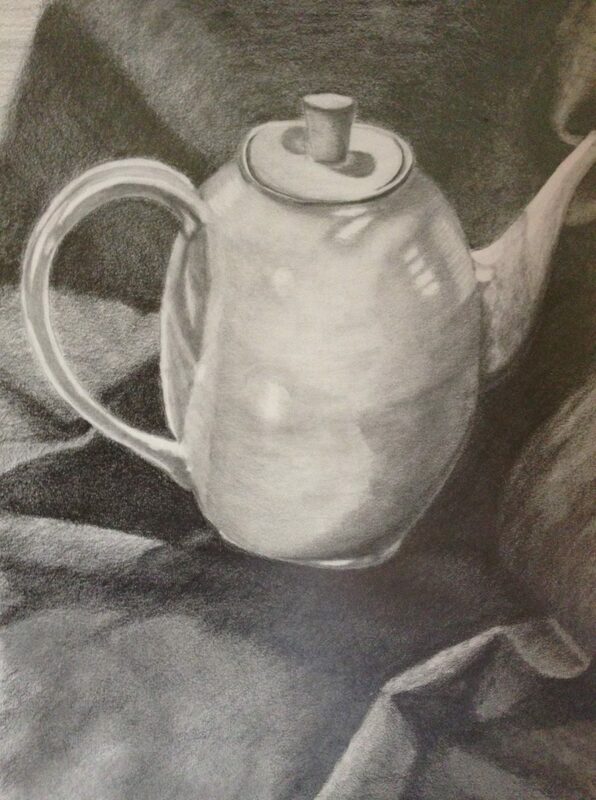 I am taking Intermediate Drawing this summer at PCCA. Even though I love color, I thought it was a good time to go back to basics and work on the foundation. It’s been nearly 20 years since I took a formalized drawing class, so I’m well over due! The summer classes are small and intimate and it’s a good time to get one-on-one attention from instructors. Plus, it’s always a bonus to steal away a few hours of “me time” since the kids are out of school. Our instructor is Stephanie Kent, a young lady with a BFA from Kendall School of Art & Design and Wayne State University. 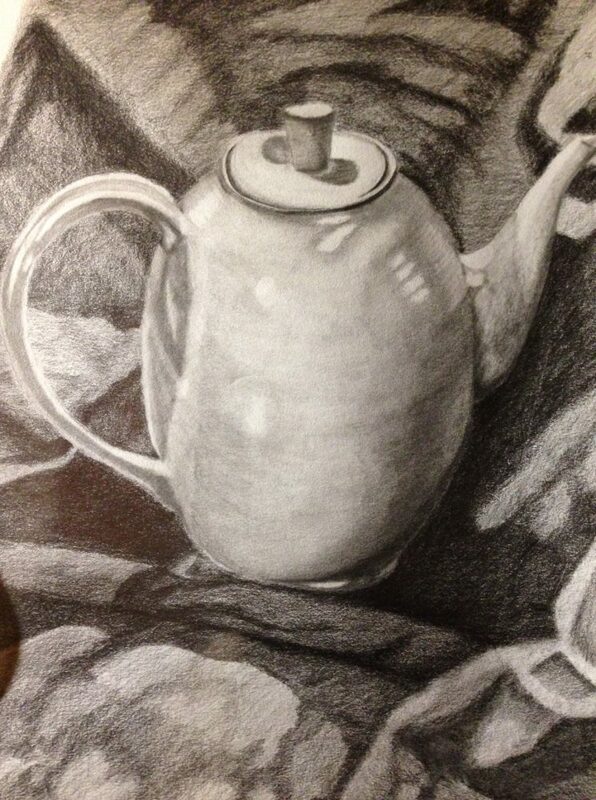 We are working on still-life pieces in the studio and then completing them at home if we wish. I don’t always complete the pieces, but this one I really wanted to finish. Stephanie arranged multiple pieces on top of a dark blue fabric cloth. I liked the contrast of the smooth white porcelain pitcher and the surrounding dark heavy twisting-turning of the fabric. The first step was the drawing. 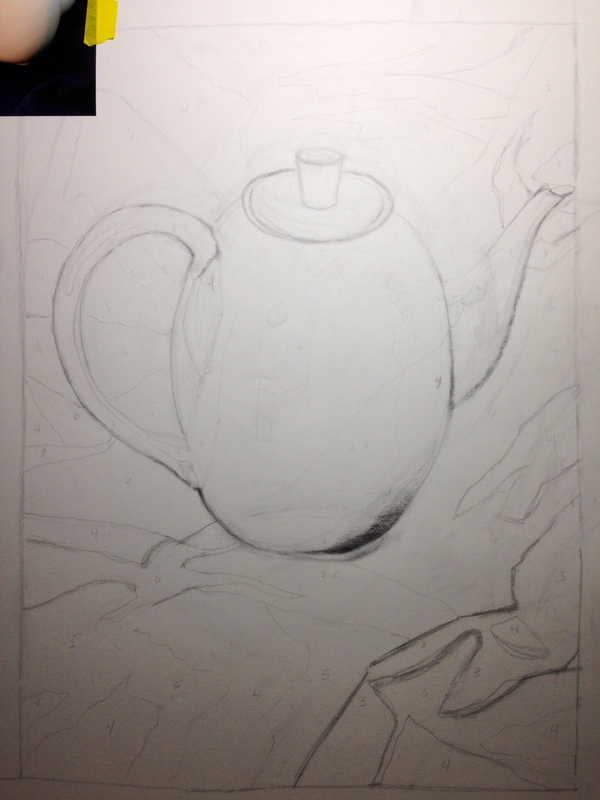 Getting the proportions and elliptical shape of the pitcher took time. From there, I drew the cloth folds. Next I used our value scale to figure out the lights and darks and assign a specific pencil – ranging from 2H to 6B. 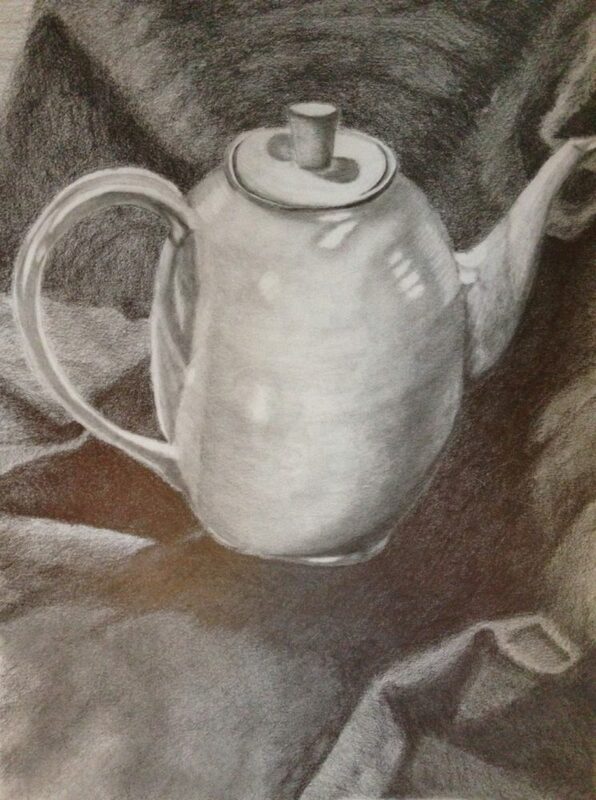 At home I completed the pitcher and began shading the fabric. I have not had any experience drawing or painting fabric folds and knew it would be a challenge. I began with the darks and moved to the lights. It took a lot of trial and error, erasing, and re-creating until I was satisfied with the final outcome.